Taiwanese Gigabyte may very well be one of the leading parts manufacturers in the PC world, but that doesn't mean that its interests don't transcend beyond the dying industry. 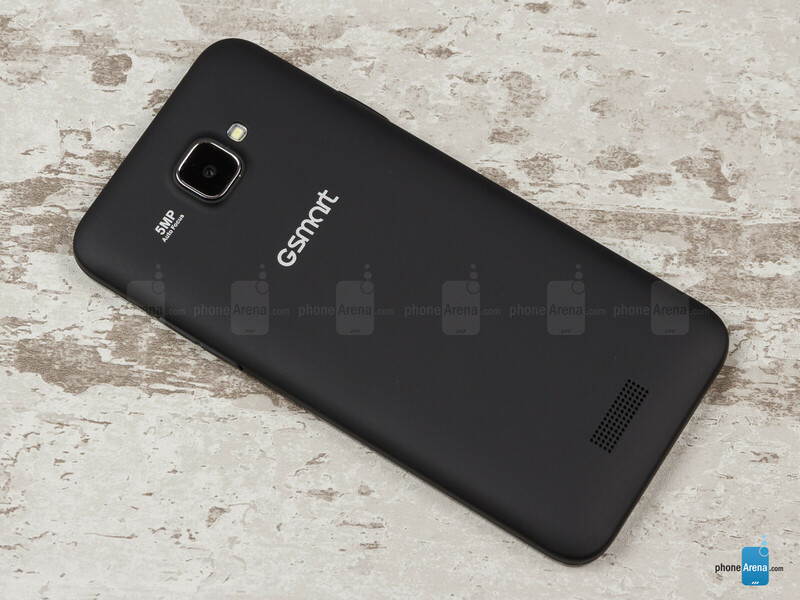 The 5-inch GSmart Alto A2 is but one among several from the latest crop of new Gigabyte entrants that aim to forward the company's ambitions in the mobile space, yet the road ahead of t is anything but easy. So, will this affordable midranger offer enough of a bang for your buck in the increasingly competitive low-end tier? Let's take a look. One could stare at the GSmart Alto A2 for days on end, trying to figure out which one particular handset it most reminds him of, to no avail. That's because it looks like each and every one out there, and none at the same time. It's as generic-looking as the typical Android phone gets, though such statement needs not have as negative a connotation as it usually does. In all honesty, every now and then, we much prefer for manufacturer's to stick to the well-beaten path, instead of chasing smoke. So, is the Alto A2 as boring as we're making it out to be? 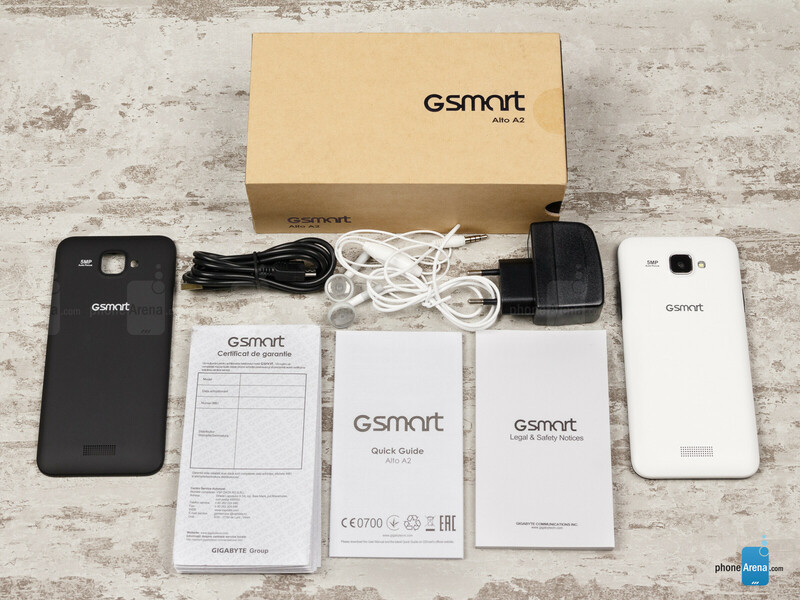 Kind of, but not exactly, because it has an ace up its sleeve – a relatively slim 9.3mm profile and an extra back plate (white) packed into the box. 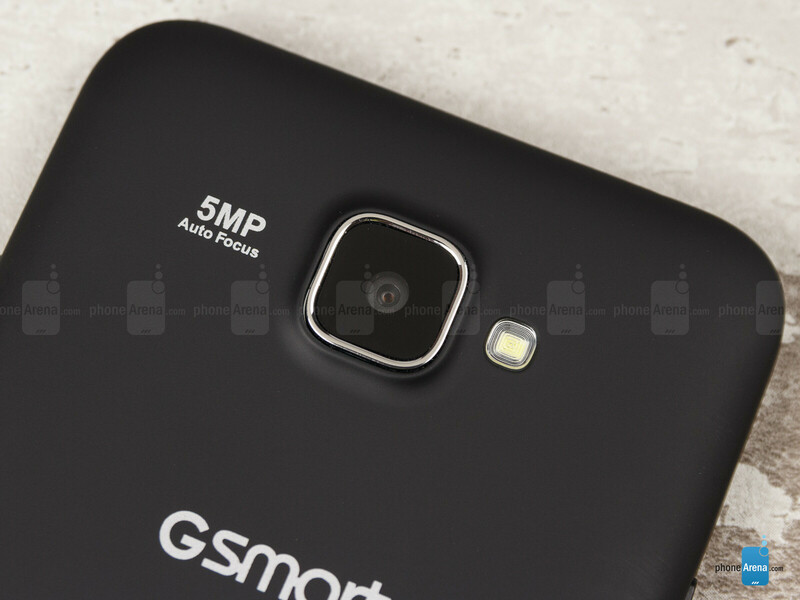 Sure, such a perk is unlikely to lure too many people over to GSmart land, but it is something, and the device doesn't look bad in black and white. Of course, the Alto A2 may not be everybody's cup of tea, as its quite large. So much so, actually, that it easily towers above other 5-inch phones, like the Galaxy S4, and is on the heavy side with its 6.2oz. (175g). 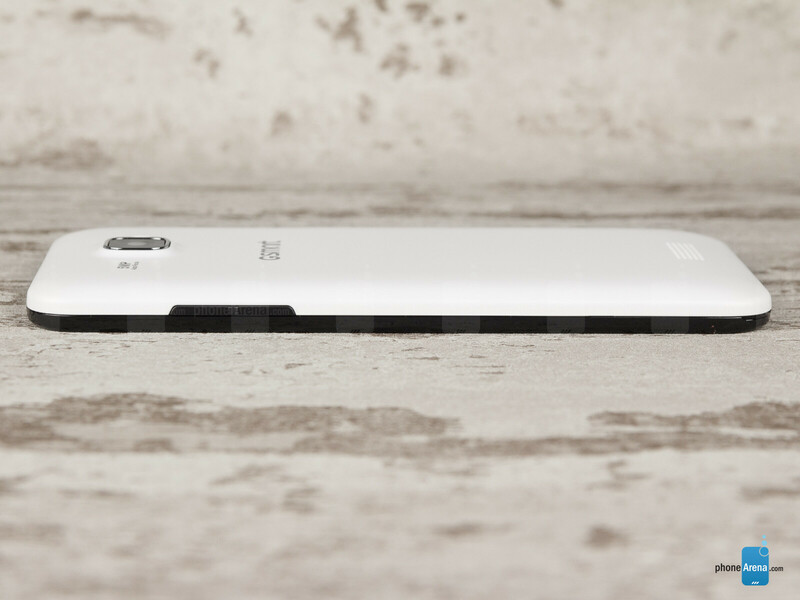 In terms of build, this appears to be a well put-together phone. The usual plastic construction is in place, with the back touting a grip-friendly matte finish, a camera unit that protrudes a tad too much and a (mono) speaker grill. As far as hardware buttons go, the device has just two – a volume rocker on the right, and a power button on the left – both of which provide just the right amount of feedback. And while we do try to keep an open mind about these things, we would prefer for those to switch places, as the stereotypes have obviously grown on us, and those dictate that the power button needs be on the right. 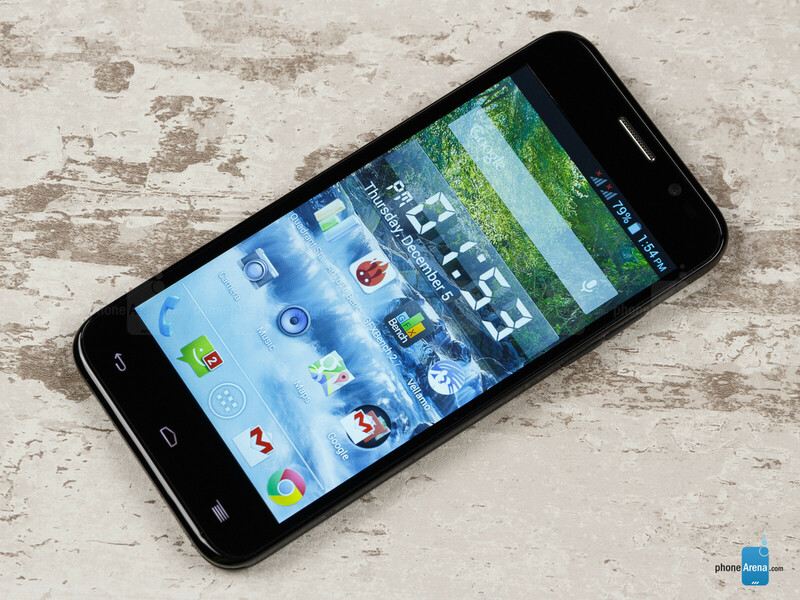 With a 5-inch TFT display, the Alto A2 belongs to the crop of big-sized phones. Unfortunately, its 480x854 (~196ppi) FWVGA resolution screen has been a total letdown from the moment we picked up the device. And it's not just about the low pixel density – in fact, if that was its only disadvantage, we'd go ahead and give it a pass, but that's simply not the case. For starters, the display has a clearly perceptible cyan tint to it – it really is one of the worst we've seen. What makes matters worse, however, is the absolutely horrible viewing angles – both vertical and horizontal. Said otherwise, even ridiculously minimalistic changes in your point of view have a detrimental effect on how you see the screen. It's so bad, really, that you could be keeping a perfectly stable angle and still notice discrepancies in the quality between the top and bottom parts of the display. Lastly, we can't, in good conscience, not warn you of the serious true black deficiency of the screen. The best the TFT display can muster is an unconvincing dark gray. Manufacturers do yourself a favor. Keep your device to yourself unless you are the fruit brand call Apple. Stick to your motherboard business, Gigabyte. You're not good at making phones.